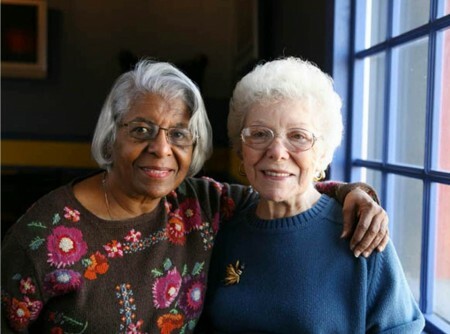 Maintaining friendships is important for people at all stages of their lives, including your senior years. Communication with old and new acquaintances provides a person with companionship, just like having a HomeHero caregiver. Social interaction also often benefits one’s physical and mental health. Seniors may find it somewhat difficult to keep up with friendships as life goes on and people drift apart. Caregivers are encouraged to work with seniors to find ways of staying in touch with friends. The following are some suggestions on how to keep these connections active. Sometimes it’s more desirable to arrange for a visit with a group of friends rather than just one individual. Perhaps the senior can meet up with friends after service at a church/synagogue/mosque which they all attend. 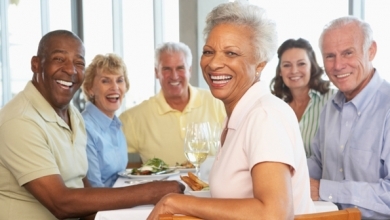 The local community center may offer regular senior activities which a group of friends might enjoy together. Make meeting as painless as possible. There may be issues that can make in-person meetings seem challenging. Caregivers can identify these and find ways to work around them. Look for settings in which a great deal of mobility is not required. If meeting in public, select an area in which restrooms are easily accessible. Shortly before the visit, talk about recent events that the senior in your care might wish to share with his or her friend. Ensure that the batteries in the hearing aid have been changed recently. Face-to-face meetings are wonderful but not always practical. Caregivers can encourage seniors to use the telephone, email, Skype or texting as a way to stay in touch. Many people also appreciate receiving letters or postcards from old acquaintances. If assistance is needed with any of these methods, caregivers should make their services available. Lengthy friendships help remind people of who they are. Helping seniors maintain valuable relationships is beneficial for everyone and allows the individual to live a happy and healthy life.